Just a month ago, I returned from a 6 month study exchange in Brazil. It was part of my studies as I had to follow courses related to the ones I followed back home. I could have done this at many partner universities in the world, but I chose to do this in São Bernardo do Campo. 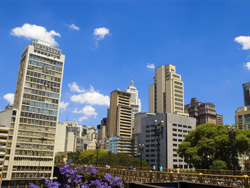 This is a city that is part of the greater São Paulo metropolitan area.